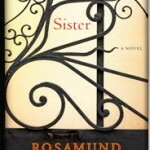 I just finished reading Sister: A Novel, by Rosamund Lupton. The book has gotten generally very good reviews, but I found it to be a pretty big disappointment. The book has a very specific literary device that it relies on for its structure, and I found the device to be both confusing and annoying. This could be because I read ebooks on my iPhone, and perhaps the font was too small to pick up on the all-important quotation marks. I just started reading Daughter of Smoke and Bone by Laini Taylor last week, due mainly to the glowing review it received in Entertainment weekly. I have to say, it’s one of the best books I’ve read in a long time. It has enough teen romance (will they or won’t they/does he like me as much as I like him/has he stopped liking me?) to satisfy the legions of Twilight fans, while at the same time being a much better book.